Michael Evans is a graduate of the College for Financial Planning and holds a Bachelor of Science degree in Business Management. 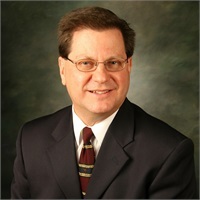 Additionally, he is Board-Certified as both a CERTIFIED FINANCIAL PLANNER™ professional and Certified Senior Advisor®. Michael and the firm he founded, Legacy Group, specialize in assisting near-retirement and currently retired clients with preserving a lifetime of accumulated savings from imprudent investor behavior, market volatility, inflation, taxation, health care, and other threats. Since 1979, Michael has been assisting families with their financial and estate planning needs. In the early 1990's, he recognized an alarming lack of financial expertise available to mature Americans. Michael focused his energy toward this need and now specializes in coaching his clients to achieve financial security and peace of mind. He is a sought-after speaker in the community on topics such as retirement planning, investment management, 401k rollovers, elder care planning, and asset protection. Named one of “America’s Best Financial Planners” by the Consumer’s Research Council of America, Michael was selected for inclusion in their Guide to America’s Best Financial Planners® publication in 2006 and again in 2012. He was admitted to the Paladin Registry (Top 7% of the profession) in 2007 and bestowed a “5-Star” rating. While Michael’s clients benefit from his expertise, so does the community. Michael served on the Board of Directors of the Alzheimer’s Alliance of Smith County from 1999-2013. Additionally, he serves on the Senior Resource Committee of the Tyler Area Chamber of Commerce. He is a member of the National Association of Christian Financial Consultants, the National Ethics Bureau, the Financial Planning Association, the Society of Certified Senior Advisors, and the Better Business Bureau (Rated A+). Michael makes his home in Tyler, Texas with his wife, Beverly, of 40 years. They have three successful daughters in their early 30's and three precious grandsons (ages 15, 3 & 2). Michael and his family are active members of Green Acres Baptist Church.